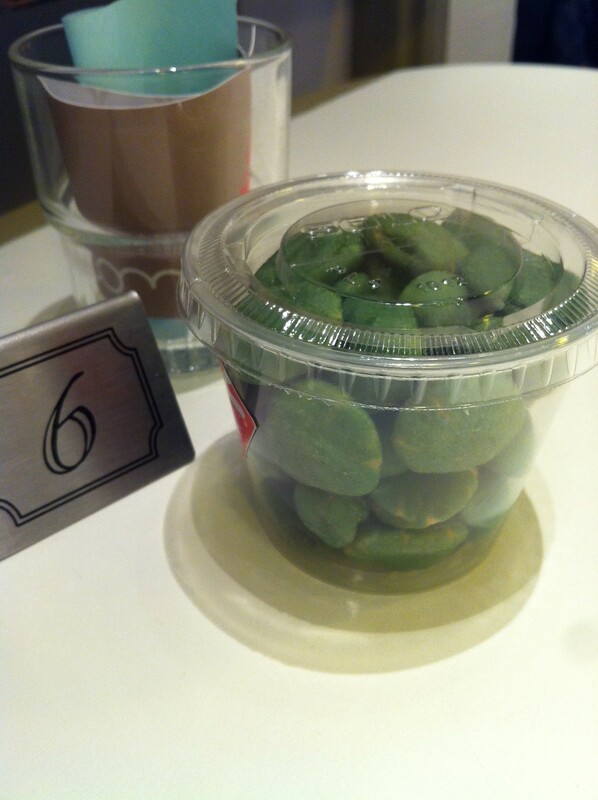 The green tea cravings came for me one Sunday, initially I wanted to hunt for the place in Camden for some green tea tart but google returned zero results. 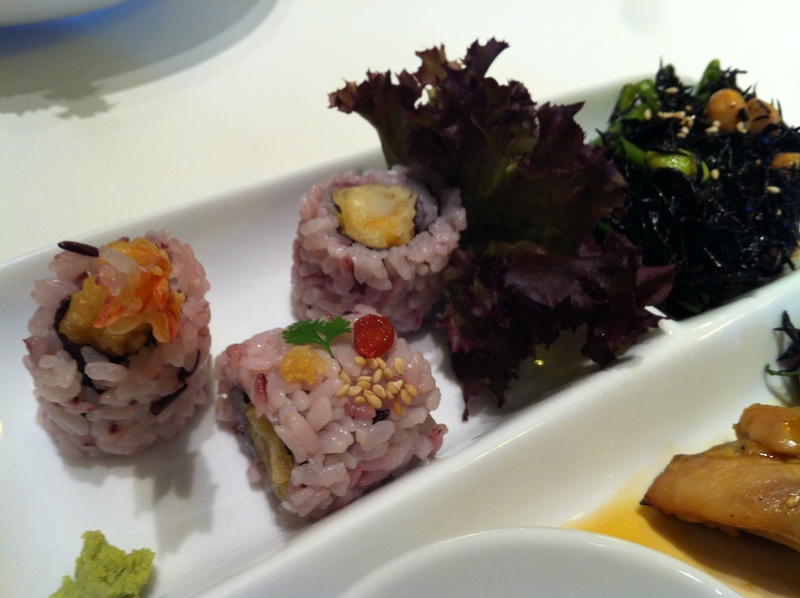 Tombo popped up and I remembered a while ago, I added the place on my to go list. 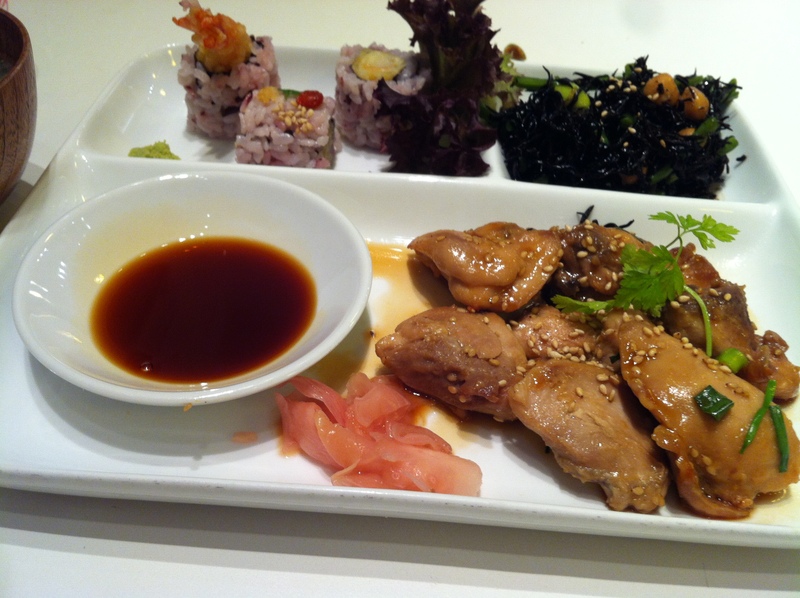 Asking my friend K to come along, we took the tube to South Kensington and arrived at Tombo. 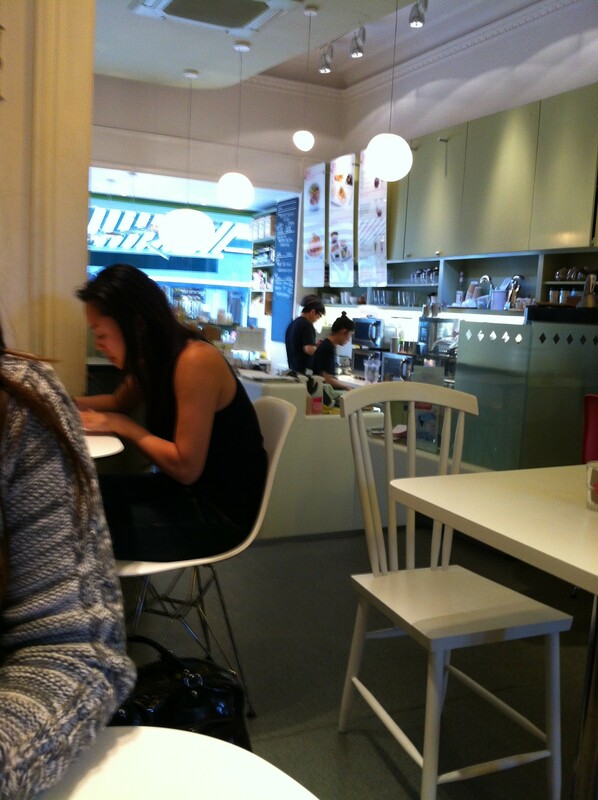 Tombo is a light and airy deli Japanese café, with its modern furniture and plenty of natural lighting flooding through. 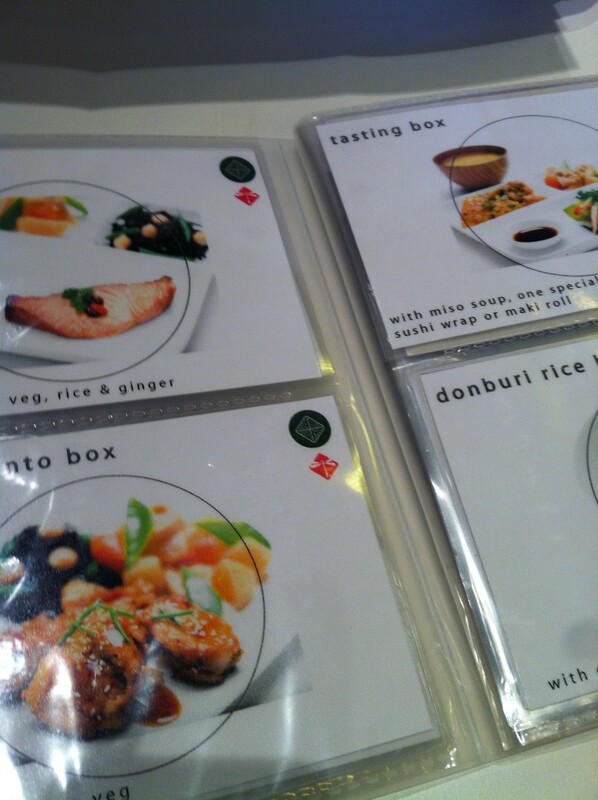 There’s a good selection of teas on offer and a chance to create your own bento. 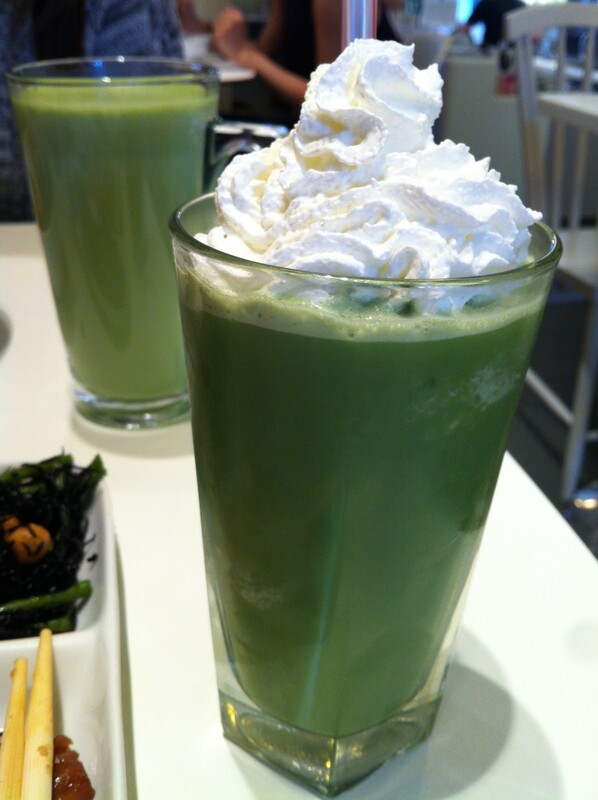 My friend and I both went for the matcha lattes, plus a green tree dessert and bento boxes to eat in. 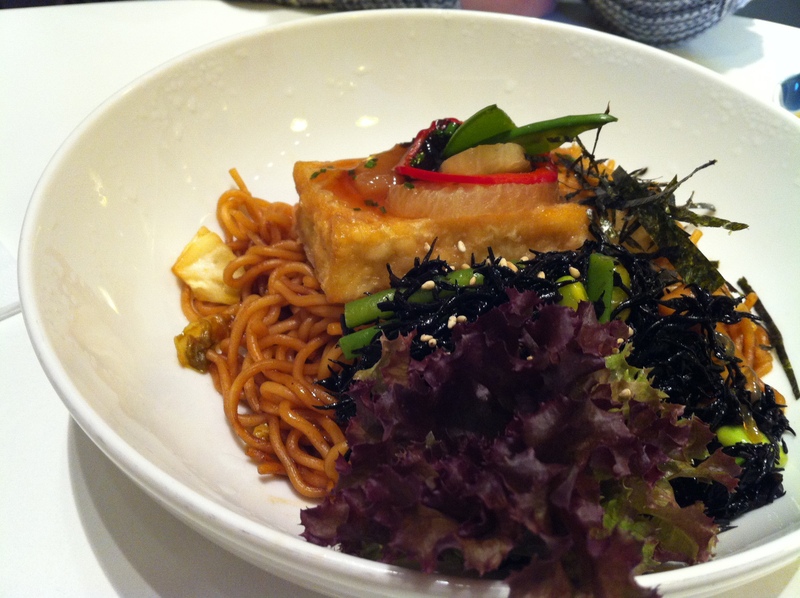 The food was presented well and neatly, however the food was not freshly cooked but microwaved. 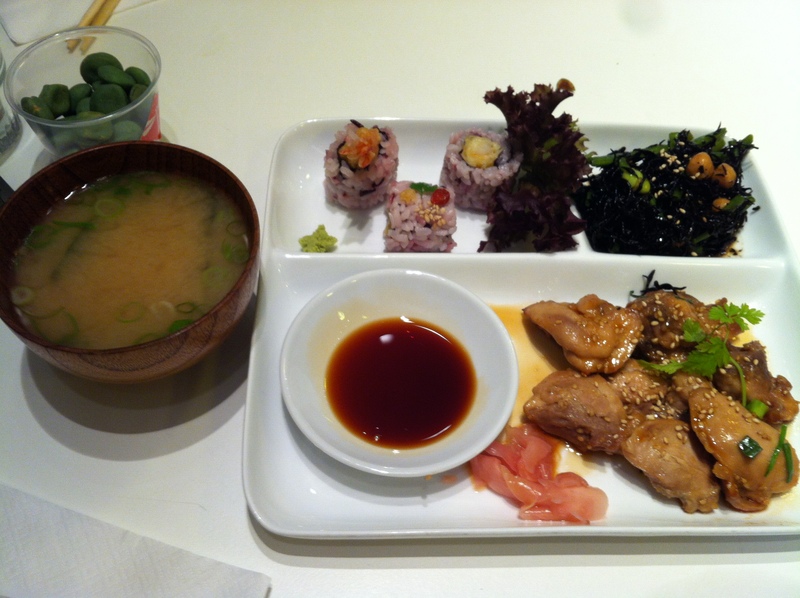 The sushi didn’t really impressed me either, the only things that were good was the salad and miso soup. For £8.75 it was not worth the money at all. 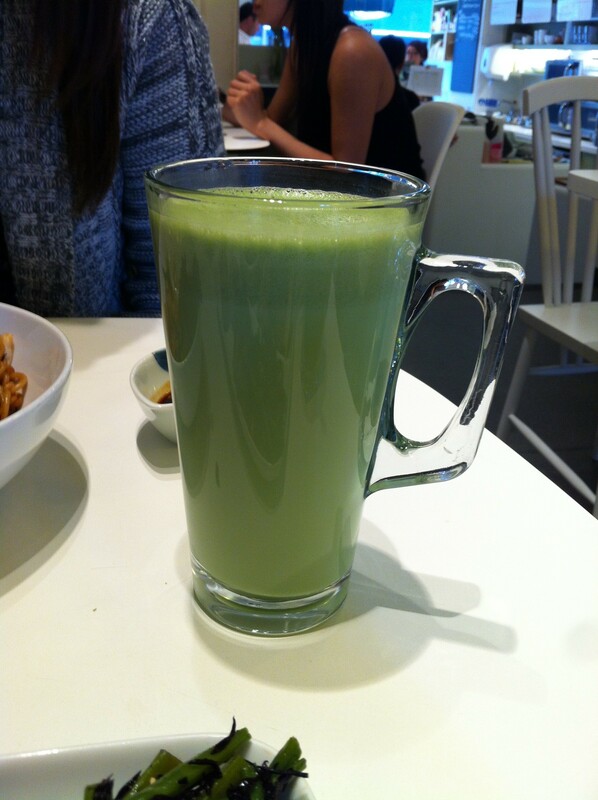 However the green tea latte was a dream, with it’s sweet bitter creamy taste. 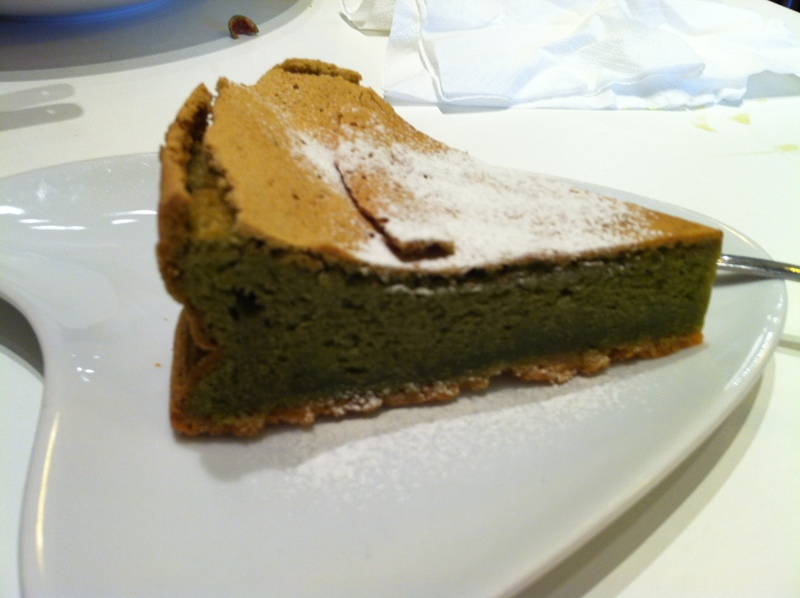 The green tea cake also get’s top marks, a fluffy sponge with outer crusty outing. 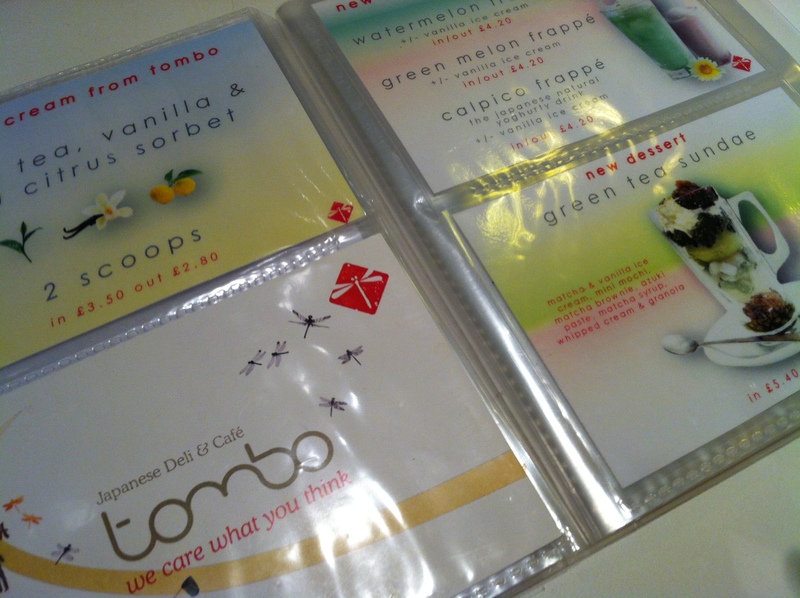 Skip the meals and just go for the tea and desserts is my advice, Tombo is a lovely place to just chill and hang out.